For time and time again, I have been trying to draw these two. Everytime, they seem to turn out better and better. I think thats great compared to my crap! Wow! Dedede that you draw is very attractive. 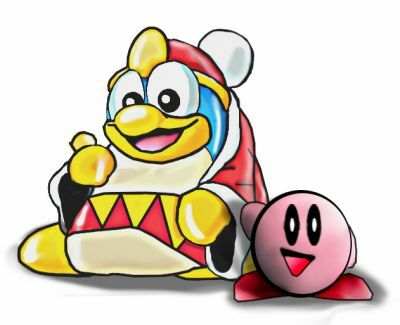 for once Dedede and Kirby get along nicely. They get along well in Kirby64.